The ceiling over several classrooms is in danger of collapsing at any moment, making it extremely dangerous for students to use them. The SDN 01 is located only 5 kilometers from the Bekasi regent’s office. “We have reported [the damage], so I suppose [the Bekasi administration] knows about the situation. But no one has checked on us,” the school’s principal, Endah Sulyana, said as quoted by wartakota.tribunnews.com on Thursday. In total, 123 students from four classes in the fourth and fifth grade have been conducting their lessons in the gym since Feb. 1. They study on the floor as the building lacks proper desks and chairs. 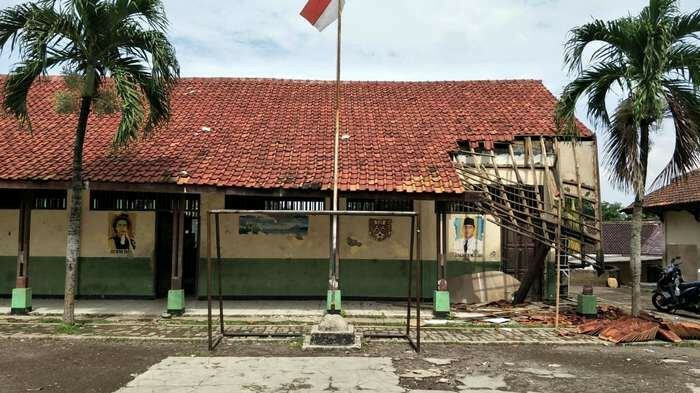 According to the school’s principal, no officials from the Bekasi administration or the Bekasi Education Agency have inspected the school or checked up on the students.